Everything is a remix. Remixing is the magic word. Design, fashion, art and architecture, to name only a few disciplines, are becoming a fluid blend of contemporary techniques with remixed shapes and forms. The symposium Remix Statics is referring to new ways of reinterpreting retrospectives, but mostly this happens in a static way. 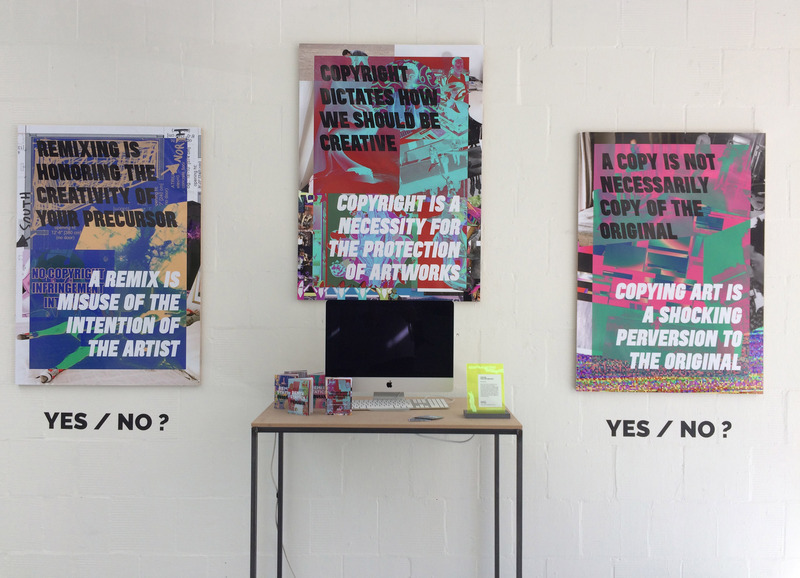 Why are visual styles reinterpreted without their ideologies? Is it a means to an end or just simply a way to innovate? 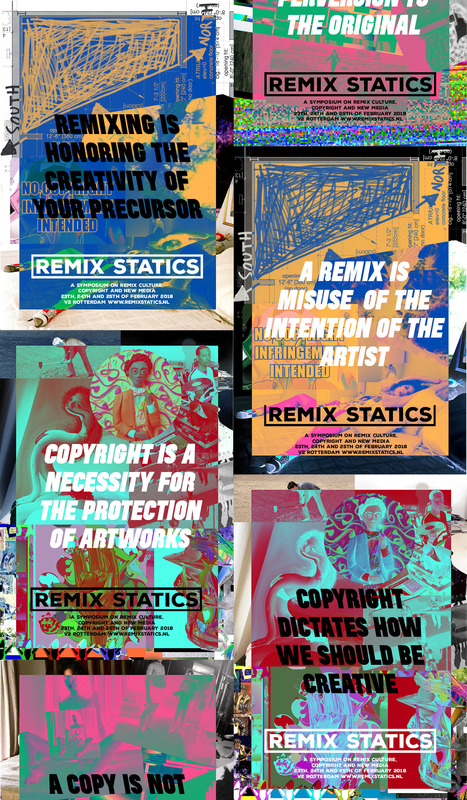 With remix culture and remixing the work of others, in appropriation art for instance, there are copyright issues involved. As a designer or architect you are confronted with two sides of this spectrum: on one side we have the copyleft movement and Creative Commons license and on the other side copyright holdings for big international companies. These two sides influence the creative spectrum. In the visuals presented in this project both sides take a stand, but where the most interesting discussions will take place is in between, the grey area. Neither are the two sides wrong, but they are not always right either. With the symposium the main focus is to create awareness for this issue, but also to liberate the status quo that exists about this topic and how we, as creatives, can change this for the good. 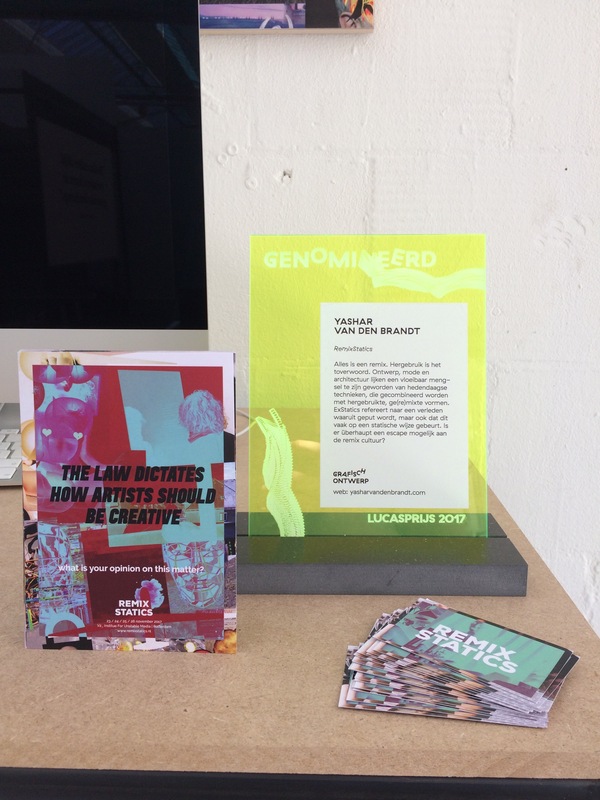 This project was nominated for the Lucasprijs 2017. Official presentation at graduation exposition. 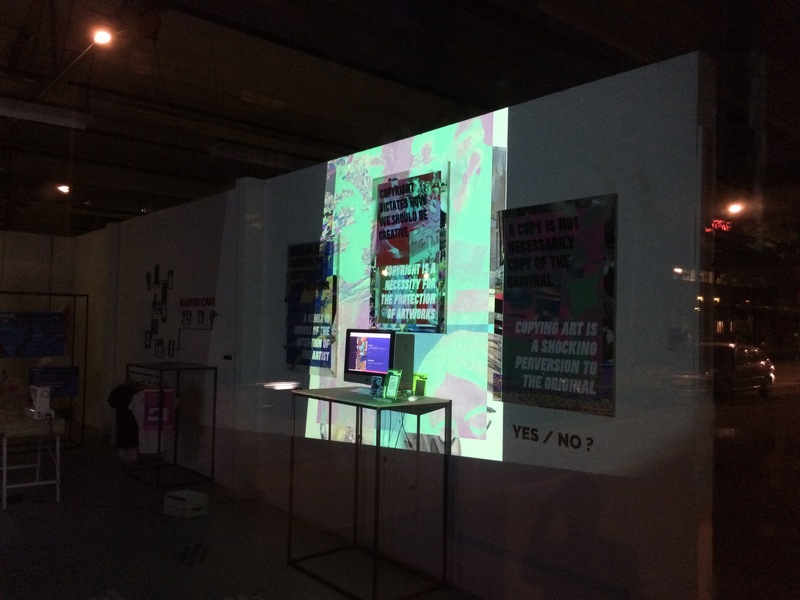 Symposium at V2_Lab For Unstable Media in Rotterdam. Contradicting points of view to open discussions regarding the subjects of copyrights and originality.